Explanation: In Greek myth Prometheus was a Titan, known for bringing fire from Mount Olympus. But in modern times the name is given to a small moon of Saturn, orbiting just inside Saturn's F ring. In a complex interaction, the tiny potato-shaped moon interacts with the icy ring particles creating structures along the F ring still not fully understood. 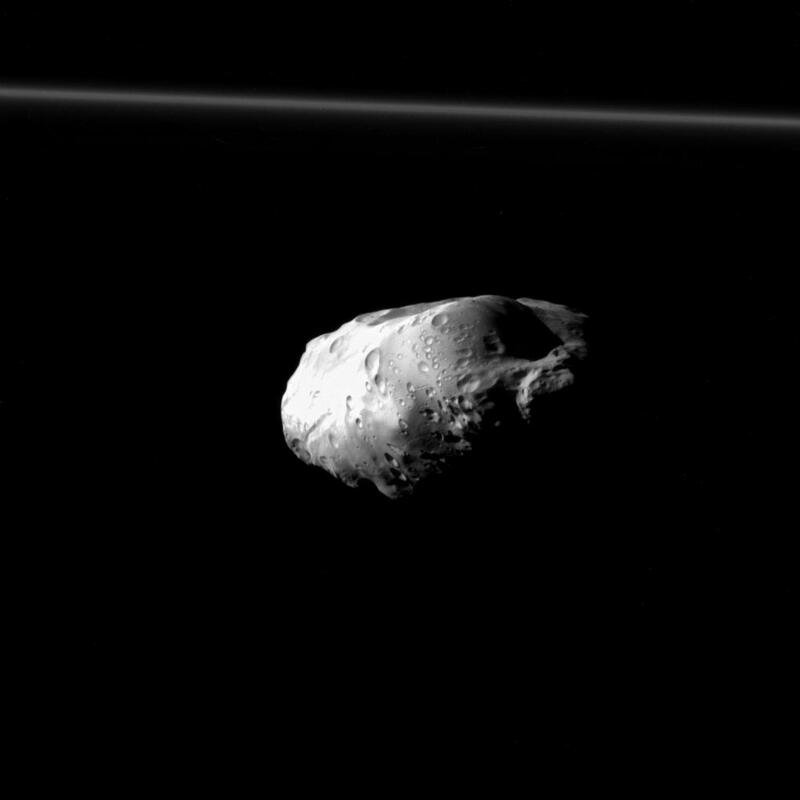 One of the highest resolution views of Prometheus, this image of its pocked surface posing with the thin F ring in the background was taken during the Cassini spacecraft's close approach on December 6, 2015. 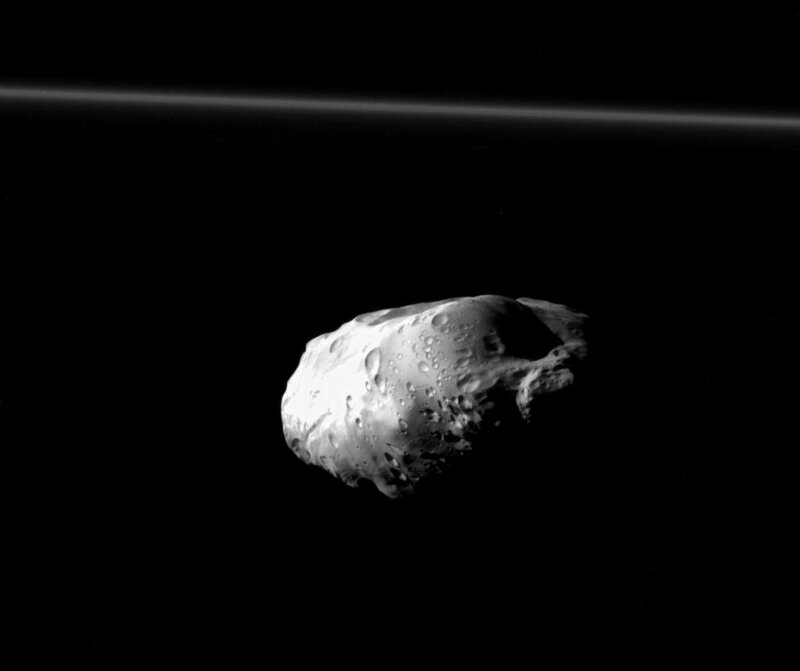 Prometheus is about 86 kilometres (50 miles) across.